Happy Thursday everyone! How has your week been going? Mine?? Well, it could be a LITTLE better, but overall, I would say I am very blessed. I am happy to be here with you today. 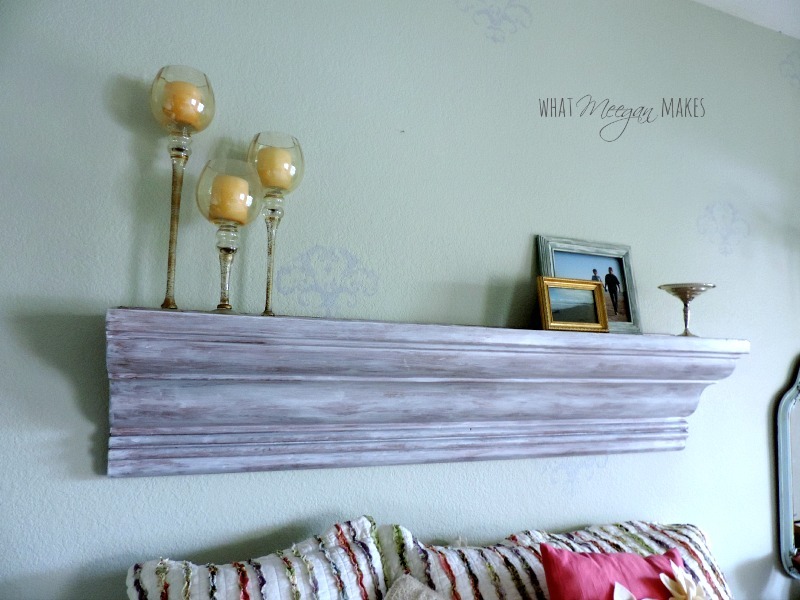 I KNOW you will love my idea to Use a Large Shelf or Mantel in Place of a Headboard. It has been of the BEST projects I have done in a long time. AND I am sharing it with YOU today. 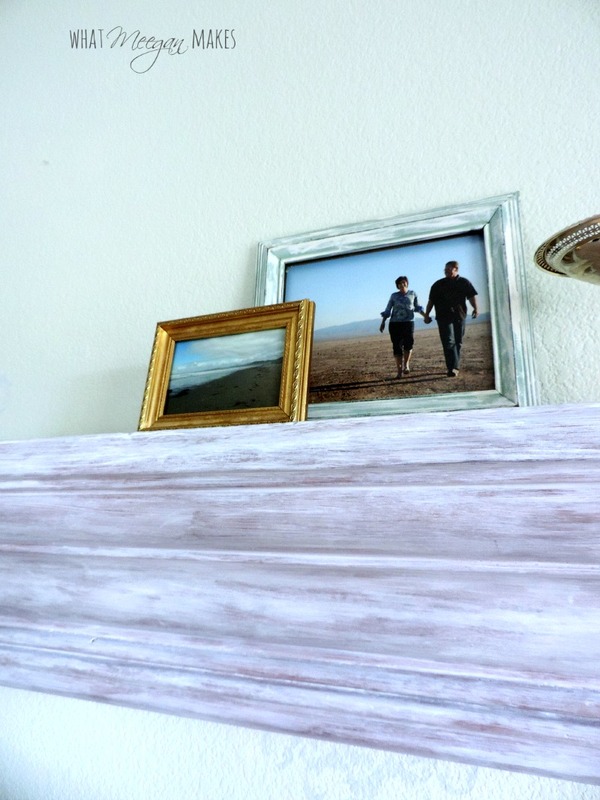 I have been searching and searching for a “mantel” or large shelf for about 2 years. I REALLY wanted to use it as a headboard. I am part of a “garage sale” facebook group in my area. I browse through everyday looking for something I might be able to refinish, paint, or redesign. I came upon a woman who was selling 4 large shelves. I jumped at the chance and bought one as soon as I could. Come to find out, my new queen size bed is 5 ft across. 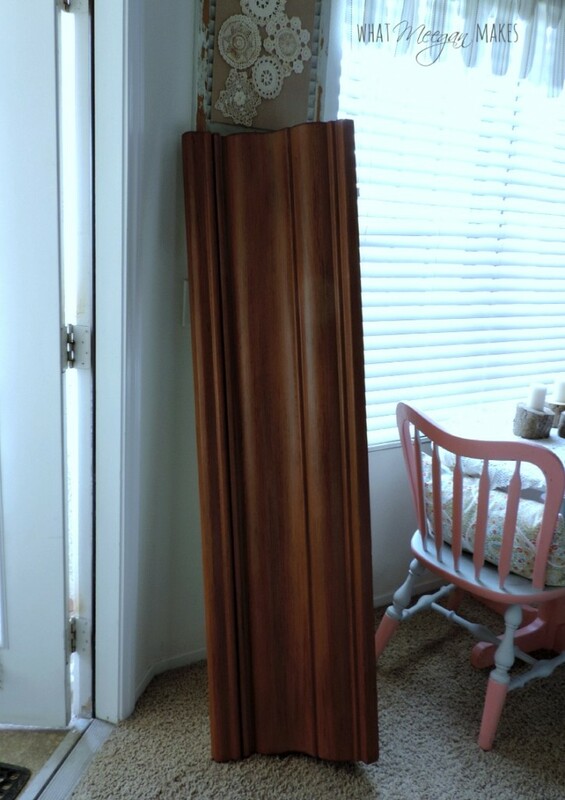 AND the shelf I bought was also the same length. It’s the ideal size to hang at the head of our bed. Before I, (I mean Hubby) hung it up for me. I brushed a white stain on it. I used Martha Stewart “Wedding Cake White Stain from Plaid Crafts. I allowed it to completely dry between each coat. I did three coats altogether. OH! Did I mention that my new shelf was NOT wood??? Can you even tell??? There are lots of craftsmen that live here in Vegas. They design and make faux shelves, facades, baseboard, crown molding, etc… out of a type of foam for local hotels. When a hotel redesigns a room, the craftsmen and/or others come in to take down the old faux facades. That is exactly what this shelf is. NOT even wood but foam. 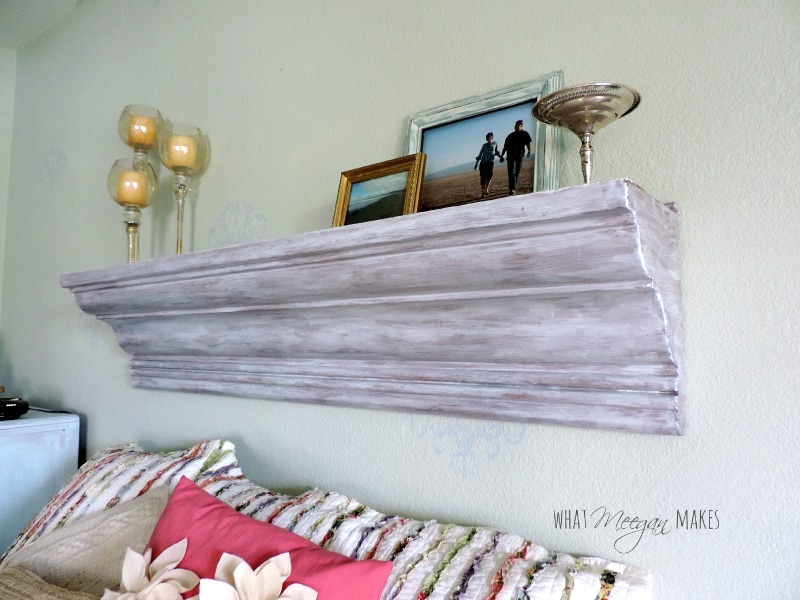 Can I just say how much I love the idea to Use a Large Shelf or Mantel in Place of a Headboard??? I still have one more idea to finish our room off. 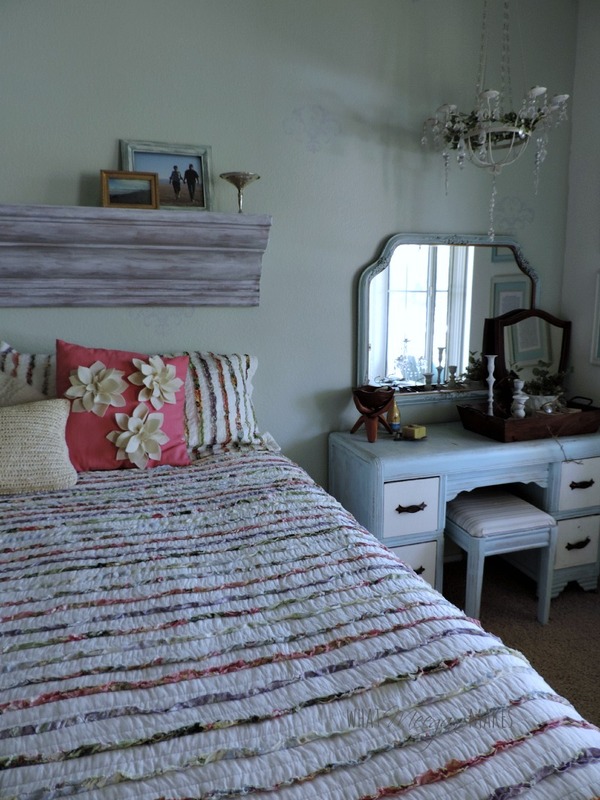 And then I can share the WHOLE bedroom makeover with you. Woot woot! What do you think?? 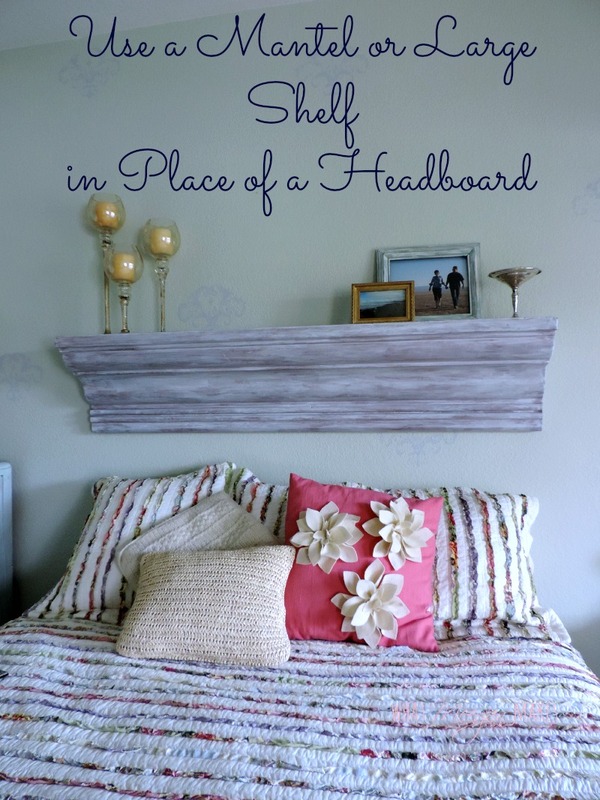 Will you Use a Large Shelf or Mantel in Place of a Headboard? Make it a terrific Thursday!! How lucky to find this the exact length of your bed?! And, I cannot believe this is foam…looks so real! Great project! Oh my goodness, that is such a good idea! I love it! What a great idea, this looks fantastic and is such a fun alternative! What a wonderful idea! I really like this, and you did a fabulous job with it! I don’t know why I didn’t think of doing this a few years back when I had a bed without a headboard. It did look empty not having anything, so this would have been perfect. OMG! Totally what I am looking for for the guest bedroom! 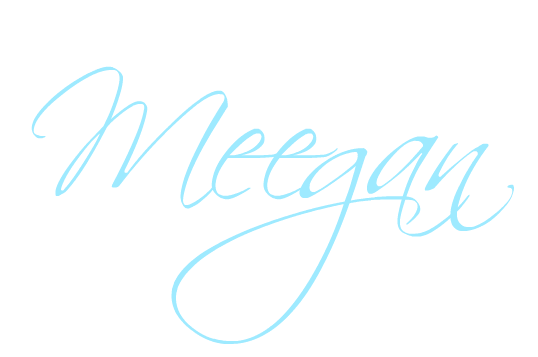 I love it Meegan! I will now be stalking our local area garage sale FB group!! 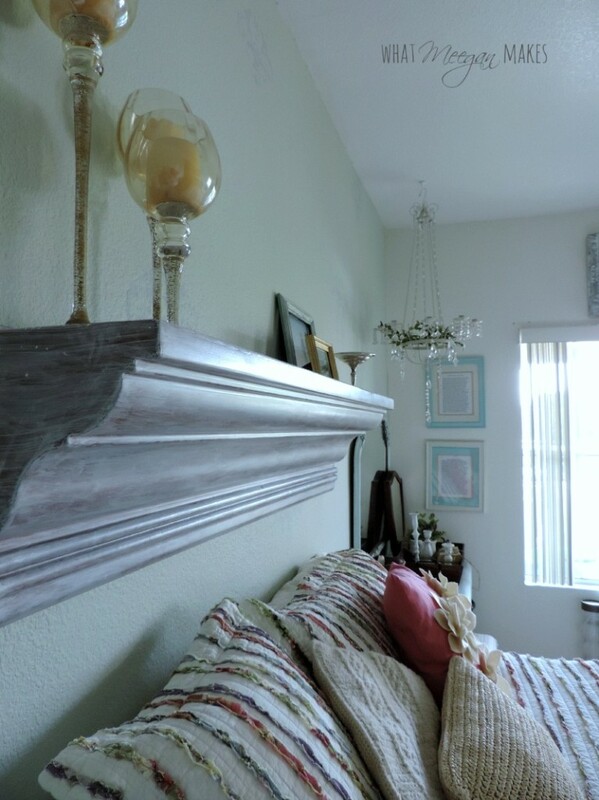 I adore the idea of a mantle instead of a headboard – and your white stain looks wonderful. Until about 2 years ago, my husband and I didn’t have a headboard (after getting rid of an old bed many years before). I wish I had see this back then! This turned out perfect for that space! I love it! It looks so real! I would have never thought that it was faux wood. What a great idea to use a mantel in place of a traditional headboard. What a fun and clever idea! I love it! What a brilliant idea! And you can find mantel shelves at JoAnns or Michaels even! I have been looking also to use a shelf or mantel but for two twins that will be in a guest room. My concern is what size to buy. The twins are 39″ wide I believe and I wasn’t sure if I should get 30″ or 36″. Being you used a mantel the size of the width of your bed, I’m wondering if the 36″ will be big enough. do you have an opinion?